Dying Light's only competitive gampelay mode will give players control of its powerful night hunter zombies. There are a great many zombie games out there, but only a handful in which you play as the undead themselves. Left 4 Dead's Versus mode was among the first, while Call of Duty Zombies only started offering the feature this year. Lately though, these examples are becoming more and more common, with even Techland's survival-horror-parkour title Dying Light among their numbers. The game's sole competitive mode, "Be The Zombie", puts players in control of the night hunters, one of Dying Light's most powerful enemy types. If that sounds fun to you however, make sure to buy Dying Light before release day; "Be the Zombie" mode will only be available at launch as a pre-order exclusive. It's not unusual to have extra features included as preorder bonuses, but locking out an entire gameplay mode might be disappointing to anyone who reads reviews before buying. Sure, the mode will probably be re-released as DLC eventually, but by that point early customers will have a distinct advantage over new players. Then again, maybe that's a good thing; playing as a weak human against all-powerful zombie mobs could be even more visceral and intense than even Techland originally intended. 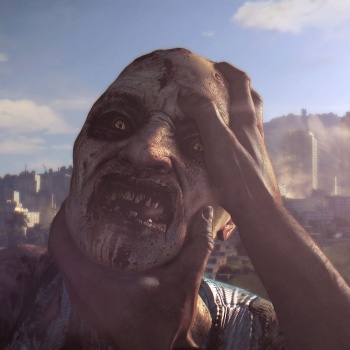 We'll just have to wait until 2014 to find out, when Dying Light launches for PC, PS3, PS4, Xbox 360, and Xbox One.